Don’t borrow your cards – if a friend wants to buy something on the internet and needs a credit card, be with him when doing a transaction or you do the transaction for him (he might become a victim of credit card fraud, due to lack of knowledge). It doesn’t matter whether or not their website is encrypted. Encryption means that your data is secure between your computer and the merchant, not between your computer and the credit card processor. The merchant will have your card number regardless.If you’re buying from an unfamiliar or likely untrustworthy store, consider using a temporary/virtual card number that card companies like Citibank provide. What are the common types of credit card fraud? Counterfeit Credit Cards, Account Take Over and Skimming. We are going to look at each one and describe it. Obtaining personal information for a thief is just about the same as if he found a gold mine. If such occurs, the thief does not even need your credit card to empty your bank account. He phones your credit card company and changes your address information. Your current credit card will be reported stolen by him and he will request a new to be issued or he will order a second credit card on his name, pretending he is YOU, the authorized credit card holder, on the phone. This card will then be sent to the address which he changed before or he will obtain instructions where to collect it. Your statements also will be sent to this new address, making you unaware of the fraud. If you don’t get statements on a monthly basis at about the same day, you should contact your financial institution and check your records on file. Ask for address change or if any information has been changed without your direct approval. A thief can also steal your new credit card when it still is in your postal box or anywhere on the way between the bank and you. This can be an organized crime scenario involving assistants, such as a postman who intercepts your mail before it is delivered to your address. A fraudster may even get a hold of information when credit cards are issued to a particular address, waits near your mailbox and takes your post. So if you get a notification about an important delivery, collect it as soon as possible, because the longer you wait, the bigger the chance for a fraudster to intercept it. Counterfeit or altered credit cards is in short, duplicating legitimate credit cards which are then used for fraudulent activities. 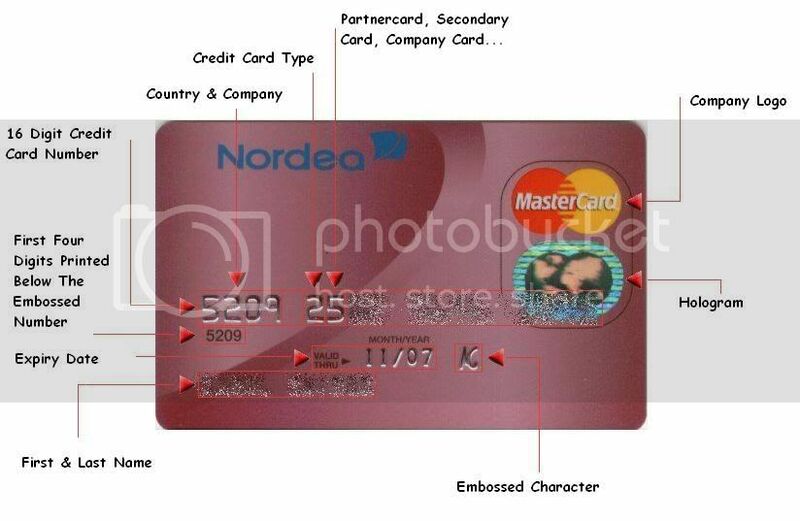 Latest technology is used in accordance with lamination and embossing to create realistic looking credit cards. 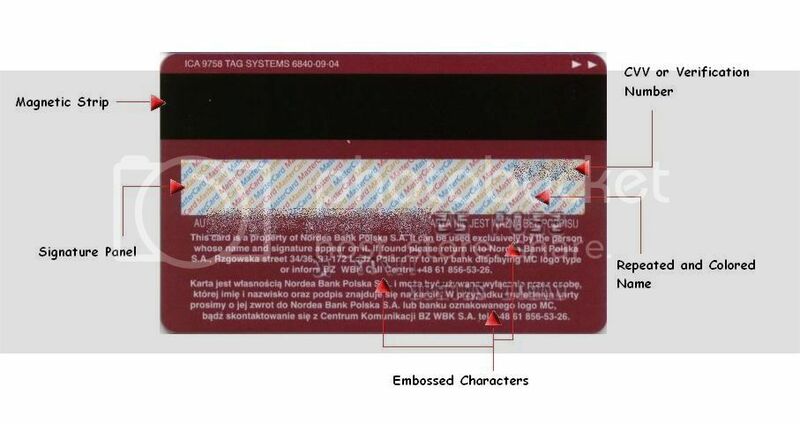 To the untrained eye these will appear real and you will not be able to recognize the difference, since a complete hologram as well as the magnetic strip is included in the fake credit card. How to identify such will be explained a little bit later, below. Obtaining credit card and personal information for unauthorized usage of such information for fraudulent activities over the internet, phone or mail. Electronic card reader, Skimmer, is used in stores legitimately when processing a transaction. However in the hands of a thief such a tool can be used to gather information for later usage in criminal activities. Usually a small electronic device is plugged into the real electronic reader and now gathering information of everyone who purchased at the store or done a money request at the ATM machine. Or a portable skimmer is used to quickly swipe your card through the magnetic reader while you are not looking. Such information will be used for later unauthorized purchases or making of a new counterfeit credit card. Usually done in restaurants or similiar institutions where you usually temporary lose sight of your credit card. If you see ghost images of other numbers behind the embossed it means that those have been altered. If those have been altered there is a big chance that the hologram (the shiny image which changes colors if you move it) will be damaged. Also check if the expiry date has been altered. I got a call yesterday from my credit card fraud detection service. Someone has skimmed my debit card and a counterfiet card is out there being used. Luckily for me, I used my card recently, and the criminal with the counterfiet card used it only an hour or so later in a city hundreds of miles away. I immediately put a block on the card. Transactions that had already been made, but had not yet been transmitted to my bank are flagged as pending. I placed a fraud alert on my credit records immediately. Unluckily for the thief, they are currently in a vacation resort town and are problably staying in a hotel. When he goes to check out, it is hightly probable that he will be introduced to a policeman. The fraud prevention representative told me that their alert to merchants will indicate that the debit card is a counterfiet and that the police should be contacted. So if this dirt bag checked into a hotel and presented my card, the hotel knows by now that the card is fake and the police have been notified. Thanks to the diligence of the fraud detection service, only about $1000 of “my money” has been spent so far and my bank is rejecting all pending transactions. Wow, someone skimmed my card, made a new one and wiped out my account buying gaas in Lebanon within a few hours time! THe bank called me and all the transactions are pending so I should get my money back OK. I have no idea where this person could have “skimmed” my card as I am super careful with my card. Lebanon?!? At least it was an instant red flag to the bank! I got skimmed too or scamed either way someone got my bank card info and got something from a restaurant in London on the same day I used my bank card at 2 local grocery stores here in the United STates. As for me the charges went through, 2 seperate transactions on the same day, one after another for over $200 each and now my account is negative, not to mention 2 foreign transaction fees and 2 over limit fees. I blocked my card. Being that today is Christmas I will most likely have to wait until Monday for any action,but I did contact my bank and left a detailed message concerning this issue. From now on, if I ever use a bank card or credit card, I am checking the card machine for any suspicious add-ons and if I ever hand my card to a clerk, I want a manager present, both of their names, but the reciepts do show the terminal number and operator id, so most likely the employee would get caught.